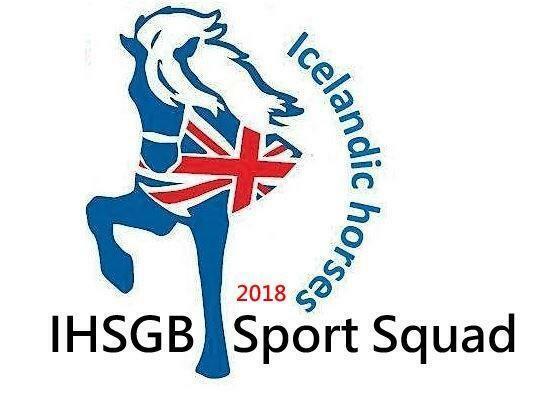 Having read the Sleipner article on the Sports Squad, or seeing the IHSGB Official Facebook Page Event, we have had a number of questions asked. Here’s a guide to help answer some of those questions. Can I join later in the year? Do I have to send a video? Subscription is for one year – we review the programme annually. Is my Application part of a selection which may mean I might not be chosen? I’m not sure if I have any Competition results? The Oval tracks in the UK are too far for me to travel to? It’s not just about oval / pace track – the majority of what we would like to achieve can be practiced in a riding arena…..which could be anywhere in GB! Where there are clusters of people in local areas, practical clinics will be offered at an area convenient to the majority – or at more than one venue with same content. Is the sport programme exclusively for people intending to move into the Sports team at a higher level? No, it’s open to any member wanting to develop their Icelandic Horse riding skills. We are reaching out to members across all different levels of performance. We hope to cater for all, at all stages of their riding abilities. I don’t want to compete but I do want to develop and learn to a high standard. I’m more than a happy Hacker. Can I join? Yes!! Most importantly, it is about encouraging people to develop – if this is not on to the competition tracks, then that’s ok……but who knows…..it might just help unlock the will to give it a go…..but measured riding as such is sport – so if it leads to more people keen to try competition, then great – but if it simply helps people focus on how to attain the goal, then fine too! What happens if I am unable to continue midway through the programme due to illness of horse or rider? The squad – although through the sport department – is not about ‘Team GB’ – this is something separate. The idea of the squad is to encourage anyone, at all levels, that has an interest in developing and then hopefully performing in competition. Gaits are judged in competition, from a Have A Go Show to our National Championships – so to have a better understanding of how we can achieve a better performance with our Icelandic Horse is key. Also knowing the level of development we can achieve from the start, to demanding more of ourselves and of our horses, and the likely journey this will take. Follow IHSGB Official FB page https://www.facebook.com/IHSGB/ to keep up to date with notifications.